Dr. Neal Schultz is a cosmetic/medical dermatologist in private practice in NYC, who for the past thirty years, has been helping make his patients’ skin look younger, more beautiful, and healthy. He is proud to have been repeatedly awarded the title of a “Top Doctor” by New York Magazine and Castle Connolly Medical. He received his MD degree from The College of Physicians and Surgeons of Columbia University and received his dermatology training and board certification at The Mt. Sinai Hospital in New York City, where he is appointed as a clinical professor (for more on Dr. Schultz, see his complete CV). Through DermTV, Dr. Schultz can now share his broad knowledge, skills and time tested judgment with you. (click here to ask your skincare question). HOW DOES BOTOX PREVENT WRINKLES? Taking a swim break in this hot summer sun is fun and a welcome relief from the heat. Swimming pools are particularly inviting for lots of obvious reasons, but there’s a hidden danger to your skin: the chlorine used to prevent an overgrowth of germs in the water. When you come out of the pool, as the chlorinated water evaporates from your skin, any residual chlorine becomes more concentrated. Even if you don’t have sensitive skin, this concentrated chlorine can dry and irritate your skin. So to avoid chlorine irritation, simply rinse off with fresh water as soon as you come out of the pool. And for extra credit, now you also know why lots of pools have shower heads nearby! Glycolics Are the Gold Standard of Exfoliants As you may have already heard me say, a chemical exfoliant is the single most important therapeutic skincare product you can use for healthier and more beautiful looking skin. But of all the chemical exfoliants, glycolics are the gold standard. That’s because their strength can be precisely adjusted from 1 to 20% to suit the patient and the skincare need, and the pH can also be adjusted and buffered to ensure that the strength of the product remains constant so you get the same results from the product every time. This offers you precision and accuracy unachievable with any other type of exfoliant. So if you’re going to exfoliate, go with glycolics. To Change or Not to Change There seems to be some confusion as to whether you need to change your skincare products periodically. Some people think you should use the same products because it’s good for your skin to, “get used to them.” Others fear that if, “your skin does get used to them, they’ll stop working.” So which one is it? As with many things in life, when it comes to skincare, “if it’s not broken, don’t fix it.” If your products are working for you, there’s no need to change them. There is however one caveat: I’m only referring to active ingredients, not vehicles. As I discuss in, Why Change Your Skincare Products Periodically, you should change to lighter vehicles in the late spring/summer, and heavier ones in late fall/winter. SAY ARE THE BEST COSMETIC CHOICES? DO YOU HAVE ANY QUESTIONS FOR DR. SCHULTZ? Send us your comments or questions below! 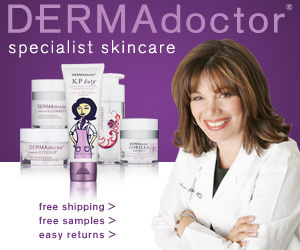 Posted in BEAUTY AND SKINCARE ...ASK THE DOCTOR... | Tagged BEST COSMETICS FOR 2011, BEST NIGHT CREAM, BOTOX, DR. NEIL SHULTZ, DRUG STORE VS.DEPARTMENT STAR COSMETICS, FILLERS, GENETICS AND SKINCARE, GLYCOLICS ARE BEST FOR SKIN EXPOLIANT, HAIR REMOVAL OR ELECTROLYSIS?, HOW LONG D0 WRINKLE FILLERS LAST?, MELANOMA, MELANOMA IN SUN PROTECTED AREAS, NATURAL SKIN CARE, NIGHT CREAM, PROFESSIONAL SKIN CARE TIPS, SKIN CARE, SKIN CARE TIPS, SKIN CARE TIPS THAT ARE RIGHT IN YOUR FRIG, THE BEST MAKE-UP TIPS, TOP MAKE-UP SURVEY, WHEN DO YOU NEED STITCHES?